Construction of 1200 West including a section of new roadway and widening existing roadway. Construction of utilities include 15″ – 36″ storm drain, landscaping irrigation, and the extension of a box culvert. include as part of Contractor’s bid. Install storm drain pipe in 1150 North. Work shall include placing new 24” RCP across and in 1150 North, placing new manholes, placing new drain structures, and connecting existing pipe to new structures. Springville City will be accepting bids for the construction of the Spring Creek Place Water Pipeline Replacement project until 11:00 AM on Friday, January 25, 2019. The project will consist of replacing a 12-inch culinary water main on Spring Creek Place and connect back to the existing water main. Work shall include roadway excavation, placing new C-900 waterline, installing new fittings, connecting existing fire hydrant, and asphalt “T” patch. A MANDATORY pre-bid conference will be held at 10:00 AM on Tuesday, January 15, 2019 at Springville City Offices, 110 S Main, Springville, Utah in the Council Chambers. Bids will be accepted via SciQuest only. (Approximately 1750 West from 550 North to 800 North). contract specification 22 11 24 – Pump and Pump Motor. Springville City is soliciting proposals from qualified vendors for coating/painting the digester lid and trickling filters at the wastewater reclamation facility at 500 W 700 N in Springville, Utah. A mandatory site visit will be held Thursday, September 6, 2018 at 10:00 a.m. on-site. All proposals are due by 2:00 p.m. on Friday, September 14, 2018. Proposals must be in a sealed envelope, clearly marked on the outside with bid # 2018-016 to Finance Department, 110 South Main Street, Springville, UT 84663. #2018-015 Springville City is requesting bids for new garbage and recycling cans. Bid closes on Monday, August 20, 2018 at 2:00 p.m.
#2018-014 Springville City is requesting bids for construction of 800 East Mill & Overlay – 450 South to 900 South. Bid closes Friday, August 10, 2018 at 4:30 p.m.
Furnish and apply approximately 282,956 square yards* of Micro Surfacing Type II to multiple roadways throughout the City. The Micro Surfacing shall be a full‑width roadway application (lip‑of‑gutter to lip‑of‑gutter); The roadways shall be prepared in accordance with the approved specifications and all existing manholes and water valves protected prior to placement of material. The work to be performed shall include furnishing all necessary materials, equipment, facilities, services and appurtenances thereto needed for the complete construction of the project. Bids will be accepted by the OWNER on-line through SciQuest (https://bids.sciquest.com/apps/Router/PublicEvent?CustomerOrg=StateOfUtah) until 2:00 PM (local time) on Monday, July 30, 2018. The OWNER will then make the decision of award and contact the individual bidders with the decision on or after Tuesday, July 31, 2018.
tank including, a new weir diversion structure on the existing live 30-inch spring pipeline, a new meter vault, connecting to the existing system with new ductile iron piping, fencing, and related work. Bids will be accepted by the OWNER on-line through https://tinyurl.com/springvillebids until 11:00 AM (local time) on Monday, June 11, 2018. The OWNER will then make the decision of award and contact the individual bidders with the decision on or after Wednesday, June 20, 2018. CONTRACT DOCUMENTS to be executed by the winning CONTRACTOR may be obtained on or after the date of the bid award at the Springville City Offices, upstairs in the Community Development Office. These CONTRACT DOCUMENTS will include an agreement to be signed by both the CONTRACTOR and the OWNER prior to any work commencing. A PAYMENT BOND and PERFORMANCE BOND will be required by the winning CONTRACTOR and all necessary forms are also included in the CONTRACT DOCUMENTS. A NON-MANDATORY pre-bid conference and site visit will be held at 1:00 PM (local time) on Monday, June 4, 2018, at the site. Meet at the Canyon Road Well House parking lot, located at 1700 East Canyon Road in Springville. All contractors intending to submit a bid may attend to obtain relevant information concerning the project. Bidders are advised that information affecting drawings, specifications, conditions, scope of work, etc. may be discussed. The OWNER reserves the right to reject any or all bids; or to accept or reject the whole or any part of any bid; or to waive any informality or technicality in any bid in the best interest of the City. Only bids giving a firm quotation properly submitted and signed will be accepted. The purpose of this Request for Proposal (RFP) by the City of Springville, Utah (City) is to solicit sealed proposals from interested vendors (Offeror) to provide City uniforms for purchase (not rentals) and use by the City’s Departments. The City of Springville is a full-service City with over 500 employees. Each Department has a uniform budget. Uniforms consist of a variety of clothing, including cold weather and foul weather gear, hats, shirts and sweatshirts. In addition, some departments have specialty clothing that may be purchased by other vendors. The City is seeking a direct purchase uniform and work apparel vendor that can supply approximately 500 employees, both men and women, with new quality embroidered and screen printed clothing. The City is interested in purchasing items only and will not consider rentals. Springville City is looking for qualified vendors to submit a bid on a 3-year contract for painting centerline striping and bike path lines on various roads within Springville City, using Type “F” (Fast Dry) ready-mix AASHTO (M-248) paint and glass beads (M-247). Roads will be painted annually for a period of three years until September 2020. Bids must be submitted to Springville City, Finance Department, 110 S. Main Street, Springville, UT 84663 in a sealed envelope clearly marked “Springville Paint Striping 2018-012” no later than 2:00 PM on Wednesday, June 6, 2018. Questions must be submitted through SciQuest. Springville City is requesting proposals for staffing and operating the mezzanine concessions area at the Clyde Recreation Center. 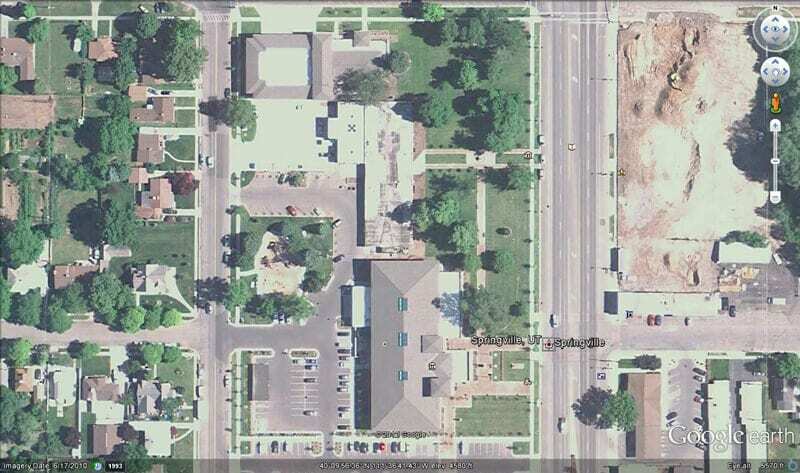 The facility is a new recreation center and will be located at 717 South 1200 West, Springville, Utah 84663. Proposals must be received in a sealed envelope by February 28, 2018 at the Springville Civic Center attention Finance, 110 South Main Street, Springville Utah, 84663 by 3:00 PM MST. Please add RFP #2018-04 to the document and the outside of the sealed envelope as an identifier. Springville City will use a selection committee consisting of City staff to review the proposals. All questions regarding this RFP shall be submitted to Penn Almoney via email at palmoney@springville.org at least 7 calendar days before the proposal due date. Please submit 4 copies of your proposal. The City of Springville, Utah is requesting proposals to construct approx. 1420 feet of concrete sidewalks in three locations in the City (North end of Main St. and 2 locations on 400 South). Pre-bid Meeting: The City will hold a MANDATORY pre-bid meeting February 20, 2018 at 2:00 p.m. Please submit all questions through sciquest. Springville City is requesting proposals for the purchase, installation, and maintenance of fitness equipment at the Clyde Recreation Center, located at 717 South 1200 West in Springville, Utah 84663, to be open mid-May 2018 with an expected delivery date of mid-April 2018. Proposals must be received in a sealed envelope by November 22, 2017 at the Springville Civic Center, Attn: Finance, 110 S Main Street, Springville, UT 84663 by 3:00 p.m. MST. All questions regarding this RFP shall be submitted to Penn Almoney via email at palmoney@springville.org. Separate bids for the Chip Seal project will be accepted by Springville City Corporation on-line at https://tinyurl.com/springvillebids until 10:00 AM. (local time) on Tuesday, October 3, 2017. 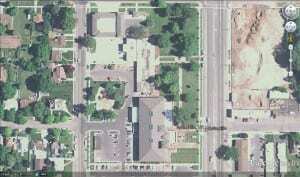 • Chip Seal (157,959 Square Yards) on Center Street, 400 East, 400 West and Canyon Road. • Handout flyers & notifications to homeowners/business owners, and any persons who may be directly affected by this project. • Mobilization to be included in the square foot price. Furnish and place emulsion (LMCRS-2). • Place aggregate (Utlite C-Chip) furnished by Springville City. • Install protective covers for all utilities in roadways (manholes, water valves, inlets, etc.) prior to construction. • Contractor shall remove all covers to expose all utility covers & lids after construction. • Furnish and tab all existing centerline & pavement markings to be re-painted by Springville City. • Sweep and clean up any loose remaining material from each location after Chip Seal process, including curb & gutters, driveways & sidewalks. A five percent (5%) Bid Bond will be required. Springville City Corporation reserves the right to reject any or all bids submitted. Edge mill and overlay of 1750 West from 400 South to approx. 800 South from lip of gutter to lip of gutter. Work shall include a 1.5-inch edge mill along the perimeter of the project limits, placement of an asphaltic leveling course, placement of a geotextile interlayer, and placement of a 2-inch overlay over the milled area and a 2-inch minimum overlay of the remaining roadway portion to establish a 2% cross slope of the new roadway surface. The project will also include the removal and replacement of approx. 312 linear feet of median curbing and the lowering, raising and collaring of existing manholes and water valves in the project area. Bids will be accepted by the OWNER on-line through https://tinyurl.com/springvillebids until 10:00 AM (local time) on Friday, August, 25, 2017. The OWNER will then make the decision of award and contact the individual bidders with the decision on or after Tuesday, August 28, 2017. A MANDATORY pre-bid conference will be held at 10:00 AM (local time) on Thursday, August 17, 2017, at the Springville City Offices, 110 South Main, Springville, Utah. All contractors intending to submit a bid may attend to obtain relevant information concerning the project. Bidders are advised that information affecting drawings, specifications, conditions, scope of work, etc. may be discussed. Abandonment of approx. 7040 lineal feet of 16-inch waterline on Canyon Road from 1700 East to 2900 East. The project includes disconnecting and re-connecting existing waterlines of varying sizes from the 16-inch line to an existing 12-inch line, the installation of new isolation valves of various sizes, removal and reinstallation of approx. 18 water service lines, the removal and replacement of four (4) fire hydrants, removal and replacement of curb, gutter and sidewalk associated with the water services and fire hydrant work, and the patching and surface restoration of the asphalt roadway. The work shall also include the restoration of landscaping (including sprinkling system and sod) disturbed or damaged during the abandonment work. The work to be performed shall include furnishing all necessary materials, equipment, facilities, services and appurtenances thereto needed for the complete construction of the project. Bids will be accepted by the OWNER on-line through Sciquest (https://bids.sciquest.com/apps/Router/PublicEvent?CustomerOrg=StateOfUtah) until 3:00 PM (local time) on Thursday, July 27, 2017. The OWNER will then make the decision of award and contact the individual bidders with the decision on or after Monday, July 31, 2017. A pre-bid conference will be held at 10:00 AM (local time) on Thursday, July 20, 2017, at the Springville City Offices, 110 South Main, Springville, Utah. All contractors intending to submit a bid may attend to obtain relevant information concerning the project. Bidders are advised that information affecting drawings, specifications, conditions, scope of work, etc. may be discussed. All communication relative to the Project and any questions which BIDDERs may have concerning the project shall be directed to the OWNER during the pre-bid meeting. Additional questions not answered during the pre-bid meeting, but prior to the submitting of bids, shall be asked using the Question and Answer service through Sciquest (https://bids.sciquest.com/apps/Router/PublicEvent?CustomerOrg=StateOfUtah) for this project. Furnish and apply approximately 164,659 square yards of Micro Surfacing Type II to multiple roadways throughout the City. The Micro Surfacing shall be a full-width roadway application (lip-of-gutter to lip-of-gutter). The roadways shall be prepared in accordance with the approved specs and all existing manholes and water valves protected prior to placement of material. The work to be preformed shall include furnishing all necessary materials, equipment, facilities, services and appurtenances thereto needed for the complete construction of the project. All communication relative to the project and any questions which bidders may have concerning the project shall be asked using the Question and Answer service through Sciquest. Springville City is requesting proposals to aid in the pre-treatment program under the direction of the Water Reclamation Facility Manager for the fiscal year 2017-2018. Submitters must be familiar with wastewater regulations and the Clean Water Act. The City will pay for all sampling. You must use your own vehicle. Submit resume with bid form. Proposals are due by 10:00 a.m. on Friday, July 21, 2017, either through SciQuest (https://bids.sciquest.com/apps/Router/PublicEvent?CustomerOrg=StateOfUtah) or in person at Springville City, 110 S Main, Springville, UT 84663. Questions can be directed to Juan Garrido at 801-420-1272. A MANDATORY pre-bid conference will be held at 10:00 AM (local time) on Thursday, June 29, 2017, at the Springville City Offices, 110 South Main, Springville, Utah. All contractors intending to submit a bid are required to attend to obtain relevant information concerning the project. Bidders are advised that information affecting drawings, specifications, conditions, scope of work, etc. may be discussed. The City of Springville is seeking interested artists and/or artist collaborators to submit qualifications for consideration to provide a large-scale art installation at the Springville Aquatic Center and to provide assistance in developing a theme for art at this facility. Currently, there is an emphasis on kinetic or interactive art. The facility is under construction at approximately 711 South 1200 West in Springville, Utah. The installation will be located on the exterior of the facility on the northwest side. The installation will have clear visibility from a major street in Springville. The City hopes to strengthen the architectural values of the facility on this important corner. It is anticipated that the work will strengthen the architectural values of the building and have a negotiated price. The budget for all artwork within the facility is anticipated to be $150,000. An architect rendering of the building facing and site plan is attached hereto. The rendering shows an art concept using applied vinyl. This will not be included in the final construction. Springville City is seeking proposals from qualified companies to provide special inspections and testing for the New Springville Aquatic & Recreation Center Construction Project. The Recreation Facility parcel is approximately 6 acres with a new 63,000 sq. ft. Indoor Aquatic and Recreation Center. On-site work includes construction of site, grading, utility infrastructure, parking, roadways, sidewalks, landscaping and other improvements of the 6&nbsp; acre site. All off-site improvements will be considered a different project. The project is located at 717 South 1200 West, Springville, Utah. The Architect of Record for the project is VCBO Architecture. The Construction Manager/General Contractor (CM/GC) for the project is Hogan Construction. For complete details, please view/download the PDF file. Bids must be received and logged in prior to the date and time indicated. Bids will not be accepted after 10:00 a.m. on Thursday, September 15, 2016. Springville City is seeking bids from qualified general contractors for office renovations at our Evergreen Cemetery, located at 1997 South 400 East, Springville, Utah 84663. Interested contractors may find the RFB at BidSync or can pick up and RFB at the Community Services Office located at 443 South 200 East, Springville, Utah 84663 during regular work hours. There is a mandatory pre-bid walk through at the Evergreen Cemetery office on Thursday April 28, 2016 at 10:00 am. For more information about this project, please click on the PDF in the right-hand corner. For more information about this project, please see the attached PDF in the right-hand corner. See attached PDF for information. Springville City is accepting proposals from qualified law firms or individual attorneys to provide Public Defender services on a contractual basis in the Springville Justice Court. Contract services are estimated to commence on April 1, 2016. For more information, please see PDF link. renovation of the entire kitchen facility, including restrooms, kitchen, dining area and banquet room. Please see attached PDF for the complete RFP. Springville City is requesting proposals from qualified construction management/general contractor (CM/GC) firms to work with Springville City and the architectural firm VCBO Architecture to construct an approximate 60,000 square-foot aquatics and activities center. Proposals, including a fee proposal, project approach, references and statements of qualifications, must be received by 5:00 p.m. February 19, 2016 to Springville City Civic Center, 100 South Main Street, Attn: John Penrod. All RFP documents, including the selection requirements and the selection schedule, are available on-line at www.BidSync.com and www.springville.org and at the offices of Springville City Civic Center, 110 South Main Street, Springville, Utah. Springville City will enter into a single agreement with the successful CM/GC firm. Springville City reserves the right to reject any or all bids submitted. Deadline: Februrary 19, 2016 at 5:00 p.m.
For more information, please see PDF Link(s) at the right. Removal of approx. 1100 existing PI service boxes, appurtenances and fittings, and the installation of new PI service boxes, meter setters, appurtenances and owner-provided meters. Where determined suitable for re-use by the OWNER, the existing service box and valving shall be salvaged and reinstalled. Restoration to pre-construction conditions of all surface improvements (including landscaping, fencing, concrete work, etc.) disturbed during the removal and installation work shall be included as part of the work. Work shall include furnishing all necessary materials, equipment, facilities, services and appurtenances thereto needed for the complete construction of the project. NOTE: PI meters shall be provided by the OWNER but shall be installed by the CONTRACTOR. Bids will be accepted by the OWNER on-line through BidSync (www.BidSync.com) until 10:00 AM (local time) on Monday, January 18, 2016. The OWNER will then make the decision of award and contact the individual bidders with the decision on or after Friday, January 22, 2016. A MANDATORY pre-bid conference will be held at 10:00 AM (local time) on Tuesday, January 12, 2016, at the Springville City Offices, 110 South Main, Springville, Utah. All contractors intending to submit a bid are required to attend to obtain relevant information concerning the project. Bidders are advised that information affecting drawings, specifications, conditions, scope of work, etc. may be discussed. All communication relative to the Project and any questions which BIDDERs may have concerning the project shall be directed to the OWNER during the pre-bid meeting. Additional questions not answered during the pre-bid meeting, but prior to the submitting of bids, shall be asked using the Question and Answer service through BidSync (www.BidSync.com) for this project. Separate bids for the Springville PI System Phase 1A – Pond Telemetry will be received by Springville City Corporation, online at www.BidSync.com until 4:00 p.m. (local time) December 8, 2015. This phase includes furnishing and installing electrical and telemetry instruments and components that allow the Bartholomew pond system to be remotely monitored and controlled through an existing SCADA system. The project will include radios, meter pedestals, control cabinets, a motor actuator for an existing head gate, level sensors, pull boxes, pulling wire through existing dry conduits and some new conduits. A MANDATORY PRE-BID CONFERENCE will be held at 2:00 p.m. on November 24, 2015 at the Springville City Hall, 110 South Main Street, Springville, UT 84663. All prospective bidders are required to attend. The CONTRACT DOCUMENTS may be obtained on or after November 19, 2015 online at www.BidSync.com. All questions relative to the project shall be submitted on-line at the “Questions and Answers” section for this project online at www.BidSync.com. Springville City is seeking bids from experienced, qualified, and professional companies to provide commercial large trash container services for City parks and facilities. Bid packages can be viewed on www.bidsync.com or can be obtained at the Community Services Office as 443 South 200 East, Springville, Utah. Bids are due on Wednesday, November 25, 2015 at 10:00 a.m. MST. For questions contact Alex Roylance, Director of Buildings and Grounds at (801) 489-5742. Springville City desires to retain the services of a qualified architectural and engineering firm toprovide architectural and design services for the remodel of the Hobble Creek Golf Course Clubhouse. The Hobble Creek Golf Course has been owned and operated by the City of Springville since its construction in 1967. Designed by renowned golf course architect William F. Bell, Hobble Creek has become a favorite of not only Utah County residents, but golfers throughout the state. The golf course includes a clubhouse of approximately 12,000 sq. ft. that consists of approximately 5,900 sq. ft. of kitchen, snack bar and banquet facilities; 1,700 sq. ft. of restroom and locker room space; 800 sq. ft. of lobby space; a 1,200 sq. ft. patio and a 2,400 sq. ft. proshop, which includes office space. The selected firm will be required to perform the basic architectural, design and engineering services to be specified more fully in a contract agreement to be negotiated after selection. To develop and implement an architectural design considering interior and exterior components, which is appropriate for the community; modernizes the look and feel of the existing structure; and improves functionality of the existing structure. To incorporate several known capital maintenance projects within the overall design (e.g. roof and window replacement). For complete RFP details, refer to PDF Link on top, right-side of screen. Springville City is accepting proposals from qualified law firms or individual attorneys to provide Public Defender services on a contractual basis in the Springville Justice Court. Contract services are estimated to commence on September 15, 2015. For more information, please refer to the attached PDF file. Springville City is seeking bids from companies that do Paint Striping on residential roads, using Type “F” ready-mix AASHTO (M-248) paint and Glass Beads (M-247). The bid packet is available on www.bidsync.com, bid number 2015-015. Bid packets are due by 2:00 p.m. on August 21, 2015 to Springville City, Public Works, 110 S Main, Springville, UT 84663. Furnish and apply approximately 363,871 square yards* of Micro Surfacing Type II to multiple roadways throughout the City. The Micro Surfacing shall be a full‑width roadway application (lip‑of‑gutter to lip‑of‑gutter); The roadways shall be prepared in accordance with the approved specifications and all existing manholes and water valves protected prior to placement of material. The work to be performed shall include furnishing all necessary materials, equipment, facilities, services and appurtenances thereto needed for the complete construction of the project. *It is anticipated that two other municipalities will be adding additional quantities of 55,555 sy and 31,666 sy (87,221 total square yards). Each municipality will enter into an agreement with bidder for additional costs. Bids will be accepted by the OWNER on-line through BidSync (www.BidSync.com) until 10:00 AM (local time) on Wednesday, July 8, 2015. The OWNER will then make the decision of award and contact the individual bidders with the decision on or after Tuesday, July 14, 2015. All communication relative to the Project and any questions which BIDDERs may have concerning the project shall be asked using the Question and Answer service through BidSync (www.BidSync.com) for this project. The City of Springville invites proposals to enter into a long term lease of the Rivoli Theater (“Playhouse”) on Main Street in Springville, Utah. Through this Request for Proposals (RFP) process the City is seeking prospective tenants that support and further Springville’s vision and mission. One goal will be to secure a financially stable tenant that will effectively manage, operate and maintain the Playhouse facility. The second goal will be to use the facility to support and foster the presentation of artistic and/or cultural activities in Springville. To be considered, One (1) hard copy of the proposal is due in the Springville City Administrative Offices, 110 South Main, Springville, Utah 84663 by 5:00 p.m. on May 22, 2015, marked clearly with RFP #2015-05 on the outside of the envelope or bid document. For more information, please refer to the attached PDF file at the top of the page. Separate bids for the 400 SOUTH – 800 EAST/BROOKSIDE DRIVE INTERSECTION REALIGNMENT project will be accepted by Springville City Corporation on-line at www.BidSync.com until 10:00 a.m. (local time) on Thursday, April 9, 2015. Reconstruction and realignment of the south leg of the 400 South-800 East/Brookside Drive intersection. Project includes demolition and removal of a home , the removal and re-construction of the full roadway cross section, curb and gutter, sidewalk, associated grade adjustment of existing manholes and water valves, and installation of associated storm drainage infrastructure. The work shall also include the restoration and installation of landscaping (including sprinkling system and sod) adjacent to the roadway re-alignment. The work to be performed shall include furnishing all necessary materials, equipment, facilities, services and appurtenances thereto needed for the complete construction of the project. A MANDATORY pre-bid conference will be held at 10:00 AM (local time) on Thursday, April 2, 2015, at the Springville City Offices, 110 South Main, Springville, Utah. All contractors intending to submit a bid are required to attend to obtain relevant information concerning the project. Bidders are advised that information affecting drawings, specifications, conditions, scope of work, etc. may be discussed. CONTRACT DOCUMENTS may be obtained on or after Thursday, March 26, 2015 on-line at www.BidSync.com. Concessions Operations at Wayne Bartholomew Family Park, Memorial Park, Bird Park, and other parks. Springville City is seeking proposals from experienced and qualified concessionaires to concessions at Wayne Bartholomew Family Park, Memorial Park, Bird Park, and other parks. Concessionaire would provide snacks and other food items to park patrons during park hours of operation, during recreation sports events, during other sports events, and during special events. Concessionaire will be required to have all necessary licensing to operate a concession business and follow all regulations required by the Utah County Health Department. RFP packages can be found at here or contact the Buildings and Grounds Department at (801) 489-5742. Proposals are due by 10:00 a.m. on Friday, March 6, 2015. Springville city is seeking bids from qualified and professional commercial sprinkling systems installers for repair and upgrade work to be done in the Evergreen Cemetery, Jolley’s Ranch, and Rotary Park. A mandatory pre-bid meeting will be held on Wednesday, February 25, 2015, at the Evergreen Cemetery, 400 East Evergreen Drive, Springville, Utah. Bid packages and other information can be found here or contact the Buildings and Grounds Department at (801) 489-5742. Pre-bid Meeting: The City will make the restaurant facilities available for inspection by appointment. Please contact the golf course at (801) 489-6297 to schedule a site visit. A site visit is not mandatory for Respondents. Please see attached file for complete bid. Replacing the existing emergency overflow standpipe in the older Spring Creek Tank with a new 24” diameter welded steel standpipe, epoxy lined and coated, and replacing the existing emergency overflow standpipe in the newer Spring Creek Tank with a new 28” diameter welded steel standpipe, epoxy lined and coated. Springville, Utah 84663 until 10:00 a.m. on February 5, 2015 and then at said office publicly opened and read aloud. Bidders must demonstrate qualifications through reference for satisfactory similar work, having successfully completed at least two similar municipal culinary waterline and mechanical piping projects and have demonstrated experience in disinfection of culinary water tanks, to be considered by the City for award of the project. CONTRACT DOCUMENTS may be obtained or examined at no charge via Bid Sync (www.bidsync.com) on or after January 19, 2015. Bid security in the amount of 5% of the base bid will be required to accompany bids. January 28, 2015 . The object of the conference is to acquaint Bidders with the site conditions, specifications, and to answer any questions which Bidders may have concerning the project. The OWNER reserves the right to reject any or all bids; or to accept or reject the whole or any part of any bid; or to waive any informality or technicality in any bid in the best interest of Springville City. Only bids giving a firm quotation properly signed will be accepted. asphalt crack sealing on various roads in Springville, prior to surface treatments this summer. Bidders will need to bid on 1) roadways including all edges where curb and gutter exists and 2) roadways without edges crack sealed. Bidders may submit bids to 110 S Main, Springville, UT by 2:00 p.m. on Friday, January 30, 2015. Bidding documents can be viewed and downloaded at www.bidsync.com under project # 2015-002. Springville City is seeking proposals from experienced and qualified professional firms for architectural and consultant services for a proposed aquatic facility in Springville. Firms will need to have expertise in the design and construction of aquatic facilities. There will be a mandatory pre-proposal meeting regarding this project at 10:00 am, on September 12, 2014 at the Community Services Building, 443 South 200 East, Springville, Utah. All firms wishing to present a proposal must be in attendance. Packages and information regarding the RFP can be found on www.Bidsync.com, or can be made available at the Community Services Building. For questions please contact Alex Roylance, Director of Buildings and Grounds, 801-489-5742. Springville City is seeking bids from local Asphalt companies to perform asphalt patching for the City when City crews are unable to do it. Successful bidder will be required to perform each patching project within 15 days of City’s request. Requests may come from various departments within the City (Streets, Water, Sewer, Parks, Power, etc.). Bid information can be found on www.bidsync.com under Bid #2014-023. Bid date is Monday, July 21, 2014 at 2:00 p.m.
Springville City is seeking bids from companies that do Paint Striping on residential roads, using Type “F” ready-mix AASHTO (M-248) paint and Glass Beads (M-247). Bid information can be found on www.bidsync.com, bid #2014-024. Springville City is requesting bids for a new 2014 or 2015 Garbage Truck. Bid documents can be found on www.bidsync.com under Bid #2014-019 Garbage Truck. Springville City is seeking proposals from licensed and experienced General Contractors for Construction Management/General Contractor Services for Phase II of Wayne Bartholomew Family Park. Interested parties may find bid packages on www.bidsync.com. There will be a mandatory pre-bid meeting at 10:00 am on July 7, 2014. The location of the meeting will be on site at Wayne Bartholomew Family Park located at 2900 East 1200 South, Springville, Utah. For questions regarding this project please contact the Building and Grounds Department at 801-489-5742. Springville City is seeking proposals from qualified and experienced firms to complete a Parks and Trails Capital Facilities Plan, Impact Fee Facilities Plan, and Impact Fee Analysis Update. Proposals should come from professional firms who are experienced in such type of work and are familiar with Utah State codes and statutes governing impact fees and the legal procurement and use of same. Chosen firm will be expected to meet and consult with City staff, elected officials, citizen Boards and committees, and other interested parties, Chosen firm will also be expected to familiarize themselves with Springville City parks and trails, their current uses, and their benefit to the community. RFP packages can be found on www.Bidsync.com. Proposals are due back to the City on June 30, 2014 by 10:00 am. Excavation and removal of sections of existing sidewalk, curb and gutter, and concrete drive approaches; saw-cutting, excavation and removal of asphalt; construction of new concrete sidewalk and 2 ½ -foot concrete curb and gutter and matching into existing driveways. Springville City reserves the right to reject any or all bids. Only properly-submitted bids will be accepted. Bid documents can be found on www.bidsync.com under Miscellaneous Concrete Work Bid # 2014-017. This is a “Sealed Bid” to be opened at the date and time designated. It is the City’s intent to award to the lowest cost, qualified bidder and at the same time receive quality service from Offeror. Springville City is soliciting proposals from qualified professional firms to provide printing services for the Springville City “City Source” Newsletter (sample attached). The “City Source” Newsletter is a four-page monthly newsletter that is sent to every resident and business in Springville City with the monthly utility bill. Springville City has a total of 10,400 utility accounts with the expectation they will be increasing. Bids will be accepted on-line through BidSync at www.bidsync.com until 10:00 am on Friday, June 20, 2014. The City will then make the decision of award and contact the individual bidders with the decision on or after Wednesday, June 25, 2014. Furnish and apply approximately 281,580 square yards of Micro Surfacing Type II to multiple roadways though out the City. The Micro Surfacing shall be a full‑width roadway application (lip‑of‑gutter to lip‑of‑gutter); The roadways shall be prepared in accordance with the approved specifications and all existing manholes and water valves protected prior to placement of material. The work to be performed shall include furnishing all necessary materials, equipment, facilities, services and appurtenances thereto needed for the complete construction of the project. Bids will be accepted by the OWNER on-line through BidSync (www.BidSync.com) until 10:00 AM (local time) on Thursday, June 19, 2014. The OWNER will then make the decision of award and contact the individual bidders with the decision on or after Tuesday, July 1, 2014. Springville City is seeking proposals for architectural and design services for Wayne Bartholomew Family Park. Services will include park design, structural design, and landscape architecture. RFP packages are available on Bidsync.com. There will be a mandatory pre-bid meeting for all prospective bidders at Wayne Bartholomew Family Park on June 16, 2014 at 10:00 am. The Springville Electric Department is interested in soliciting firm bid prices from qualified equipment manufactures to supply one 30,000 cfm evaporative cooler. The evaporative cooler will be installed at the Whitehead Power Plant. Site visits are encouraged and must be scheduled by calling Shawn Black at 801 489-2750. Please see attached evaporative cooler specifications attached. Separate bids for the 400 SOUTH ROUNDABOUT project will be accepted by Springville City Corporation on-line at www.BidSync.com until 10:00 a.m. (local time) on Thursday, May 8, 2014. The work to be performed consists of furnishing and installing all necessary equipment, facilities, services and appurtenances thereto described in the Drawings and Contract Documents. The Work generally includes, but is not limited to, the following: Road construction of a new roundabout at the intersection of 400 South and 1300 East (Canyon Road). Project includes associated grade adjustment of existing manholes and water valves, installation of storm drain, irrigation and sewer piping and associated structures, and associated relocation of existing utilities. A MANDATORY pre-bid conference will be held at 10:00 a.m. on Wednesday, April 30, 2014, at the Springville City Offices, 110 South Main, Springville, Utah. All contractors intending to submit a bid are required to attend to obtain relevant information concerning the project. Bidders are advised that information affecting drawings, specifications, conditions, scope of work, etc. may be discussed. CONTRACT DOCUMENTS may be obtained on or after Friday, April 25, 2014 on-line at www.BidSync.com. All questions relative to the project shall be submitted on-line at the “Questions and Answers” section for this project on www.BidSync.com. The Springville Electric Department is interested in soliciting firm bid prices from qualified equipment manufactures to supply one Non Selective Catalyst Reduction (NSCR) Catalyst unit. The catalyst unit will be installed on engine unit K2 at the Whitehead Power Plant. Alternative NSCR equipment will be accepted, but must meet or exceed the specifications below. Site visits are encouraged and must be scheduled by calling Shawn Black at (801) 489-2750. To view the engine and catalyst specifications, see PDF file. Separate bids for the Main Street Sewer Replacement – 400 South to 500 South and Pressurized Irrigation Phase 2A – Main Street PI Crossing project will be accepted by Springville City Corporation on-line at www.BidSync.com until 10:00 a.m. (local time) on Tuesday, March 25, 2014. The removal, disposal and installation of approximately 600 linear feet of 18-inch polyvinyl chloride (PVC C-900) pipe and the removal, disposal and installation of three (3) new 60-inch sanitary sewer manholes in/along Main Street from 400 South to 500 South. The project also includes the removal and disposal of approx. 35 linear feet of 24-inch CMP and one (1) existing storm drain inlet box, the installation of 40 linear feet of 18-inch RCP and one (1) new double curb face storm drain inlet. The installation of approximately 270 linear feet of 42-inch steel casing pipe across Main Street at 700 South. The project also includes the installation of 270 linear feet of four (4) 2-inch bundled PVC conduits and the installation of 170 linear feet of 10-inch steel casing pipe. NOTE: Work is within UDOT right-of-way. Weekend closures and lane closures have been worked out with UDOT. See Contract Documents for details. CONTRACT DOCUMENTS may be obtained on or after Monday, March 17, 2014 on-line at www.BidSync.com. Separate bids for the Main Street Sewer Replacement – 400 South to 500 South and Pressurized Irrigation Phase 2A – Main Street PI Crossing project will be accepted by Springville City Corporation on-line at www.BidSync.com until 10:00 a.m. (local time) on Thursday, March 06, 2014. A MANDATORY pre-bid conference will be held at 10:00 a.m. on Thursday, February 27, 2014 at the Springville City Offices, 110 South Main, Springville, Utah. All contractors intending to submit a bid are required to attend to obtain relevant information concerning the project. Bidders are advised that information affecting drawings, specifications, conditions, scope of work, etc. may be discussed. CONTRACT DOCUMENTS may be obtained on or after Thursday, February 20, 2014 on-line at www.BidSync.com. Work at the Burt Springs site consists of removing the existing booster pump motor controller; supplying, installing and making operational a 125 HP variable frequency drive motor controller for a 100 HP motor; removing, modifying all conduit and conductors and/or relocating existing equipment as required; integrating the chlorine booster pump operation with the new VFD controls as required; furnishing and installing the ultrasonic flow meter and high discharge pressure shutdown as shown on the drawings; providing and installing a PLC based control panel to control the flow rate pumped to the Hobble Creek Tank and water diverted to Springville Irrigation Company as shown on the drawings; and making available at the City’s SCADA RTU enclosure control, monitoring and alarm signals as shown on the contract documents. Work at the the 9th South Well site consists of remove the existing well motor controller; supplying, installing and making operational a variable frequency drive motor controller for a 400 HP pump (the VFD shall maintain an pre-determined, operator-adjustable pressure setpoint via an internal PID capability); removing, modifying all electrical conduit and conductors as required; integrating the existing waste valve and pre-lube solenoid controls, as well as add a well discharge high pressure switch and shutdown; and making available at the City’s SCADA RTU enclosure control, monitoring and alarm signals as shown on the documents. Separate sealed bids will be received by the OWNER in their office located at 110 South Main, Springville, Utah 84663 until 10:00 a.m. on February 6, 2014 and then at said office publicly opened and read aloud. Bidders must demonstrate qualifications through reference for satisfactory similar work, having successfully completed at least two similar electrical control projects for municipal culinary water supplies to be considered by the City for award of the project. CONTRACT DOCUMENTS may be obtained or examined at no charge via Bid Sync (www.bidsync.com) on or after January 27, 2014. Prospective Bidders are required to attend a mandatory Pre-Bid Conference which will be held at the Springville City offices located at 110 South Main, Springville, Utah 84663 at 10:00 a.m. on January 30, 2014 . The object of the conference is to acquaint Bidders with the site conditions, specifications, and to answer any questions which Bidders may have concerning the project. The Springville Recreation Department is currently soliciting proposals from qualified firms interested in providing photography services for youth sports beginning January 1, 2014 through December 31, 2015. Programs include: Boys Basketball, Girls Basketball, Flag Football, Tackle Football, Cheer, Boys Baseball, Girls Softball, Girls Volleyball, Boys and Girls Soccer, Kickball, Tennis League and Swim Team. Separate bids for the Springville PI System – Phase 1A Bartholomew Pond project will be received by Springville City Corporation, on-line at www.BidSync.com until 10:00 a.m. (local time) August 8, 2013. Description and Scope of Work: This project consists of constructing a 34 acre-ft regulating pond (approximately 65,000 CY of cut/fill) and piping for a pressure irrigation system, including site grading for a city park, grading and paving of a park trail, rehabilitation of open channels, construction of concrete water control structures, open trench excavation, asphalt road and trail repair, furnishing and installing approximately 4,800 LF of 26” HDPE pipe, 2,000 LF of 18” to 36” gravity-flow pipe, and 400 LF of 36” C-905 pipe, including appurtenances and related work. A MANDATORY PRE-BID CONFERENCE will be held at 10:00 a.m. on July 25, 2013 at the Springville City Hall, 110 South Main Street, Springville, UT 84663. All prospective bidders are required to attend. The CONTRACT DOCUMENTS may be obtained on or after July 19, 2013 on-line at www.BidSync.com. Separate bids for the Springville PI System – Phase 1B Infill Lines project will be received by Springville City Corporation, on-line at www.BidSync.com until 10:00 a.m. (local time) July 10, 2013. Description and Scope of Work: The Project consists of furnishing and installing approximately 8,050 LF of C-900 pressure irrigation pipe ranging from 6″ to 12″ in Springville City Streets. The project will connect existing pipes in the Westfields area in preparation for connection to the pressure irrigation system. Work includes open trench excavation, valves, fittings, asphalt repair, two (2) 16″ bores underneath existing railroads, and related work. A MANDATORY PRE-BID CONFERENCE will be held at 10:00 a.m. on June 27, 2013 at the Springville City Hall, 110 South Main Street, Springville, UT 84663. All prospective bidders are required to attend. The CONTRACT DOCUMENTS may be obtained on or after June 20, 2013 on-line at www.BidSync.com. Published in the Daily Herald on June 23 and June 24, 2013. Springville City Public Works is requesting bids for re-striping lane lines and bike paths in Springville City. Approximately 190,503 linear feet of re-striping lane lines, approximately 28,229 linear feet of bike path and 43 bike symbols. Electronic bids only will be accepted on www.bidsync.com. The City reserves the right to award this bid in full or in part and all projects are contingent upon final budget approval. Bid closes July 1, 2013 at 2:00 p.m. Expected completion date on or before September 15, 2013. Notice is hereby given that SPRINGVILLE CITY INCORPORATED (OWNER) will accept bids for the construction of the SPRINGVILLE CITY MICRO SURFACING TYPE II- 2013 project according to the Drawings and Specifications and in accordance with the Springville City Standard Specifications and Drawings Manual (April 2013) . SpringvilleCityis accepting proposals from qualified law firms or individual attorneys to provide Public Defender services on a contractual basis in theSpringville Justice Court. Contract services are estimated to commence on May 15, 2013. Springville City is seeking bids from qualified, licensed, and experienced Electrical Contractors for Installation of Electrical Service Upgrades at the Hobble Creek Golf Course Club House. The RFB package is available at www.Bidsync.com. There will be a mandatory pre-bid walk through at the Hobble Creek golf Course Club House on March 6, 2013 at 1:00 pm. All interested contractors must attend this meeting. Springville City is seeking bids from qualified, experienced, and licensed contractors for Construction on Community Park and 950 West Street Improvements Phase II. Bid packages are available at www.bidsync.com. There will be a mandatory pre-bid meeting for all interested bidders on March 4, 2013 at 10:00 am. The pre-bid meeting will be held at the Community Park, 950 West 700 North, Springville, Utah, 84663. For questions please contact Alex Roylance, Director of Buildings and Grounds at 801-489-5742 or aroylance@springville.org. CANYON PARKS CAMP HOST SERVICES. Bid packages are available on www.bidsync.com or by contacting Alex Roylance, Director of Buildings and Grounds, at 801-489-5742 or aroylance@springville.org. Bid packages are due Friday, March 1, 2013, at 11:00 a.m. The construction of a new interconnect pipeline between the existing Hobble Creek Tanks 1 and 2. The work will include furnishing and installing a 24” DIP (approximately 77 LF), a 24-inch butterfly valve, and making the connections into the existing tanks with all excavation and backfill. The work will also include modifications to the overflow piping of both tanks and installing a new air vent on Tank 1 and related items as set forth in these Bidding Documents. Separate sealed bids will be received by the OWNER in their office located at 110 South Main, Springville, Utah 84663 until 10:00 a.m. on November 8, 2012 and then at said office publicly opened and read aloud. Bidders must demonstrate qualifications through reference for satisfactory similar work, having successfully completed three municipal culinary waterline projects, to be considered by the City for award of the project. CONTRACT DOCUMENTS may be obtained or examined at no charge via Bid Sync(www.bidsync.com). Prospective Bidders are encouraged to attend a Pre-Bid Conference which will be held at the Springville City offices located at 110 South Main, Springville, Utah 84663 at 2:00 p.m. on November 1, 2012. The object of the conference is to acquaint Bidders with the site conditions, specifications, and to answer any questions which Bidders may have concerning the project. Department of Buildings and Grounds Alex Roylance, Director RFP# 2013-001 REQUEST FOR PROPOSAL FOR CONSTRUCTION MANAGEMENT/ GENERAL CONTRACTOR SERVICES The City of Springville invites you to submit a proposal for Construction Management/ General Contractor services related to the following project: SPRINGVILLE CIVIC CENTER PARK AND WATER FEATURES. Separate bids for the SPRINGVILLE CITY MICRO SURFACING – 2012 project will be accepted by Springville City Corporation on-line at www.BidSync.com until 10:00 a.m. (local time) on Friday, July 13, 2012. The work to be performed consists of furnishing and installing all necessary equipment, facilities, services and appurtenances thereto described in the Drawings and Contract Documents. The Work generally includes, but is not limited to, the following: Furnish and apply approximately 160,000 square yards of Micro Surfacing to multiple roadways though out the City. The Micro Surfacing shall be a full-width roadway application (lip-of-gutter to lip-of-gutter); The roadways shall be prepared in accordance with the approved specifications and all existing manholes and water valves protected prior to placement of material. The work to be performed shall include furnishing all necessary materials, equipment, facilities, services and appurtenances thereto needed for the complete construction of the project. A MANDATORY pre-bid conference will be held at 1:00 P.M. on Monday, July 09, 2012, at the Springville City Offices, 110 South Main, Springville, Utah. All contractors intending to submit a bid are required to attend to obtain relevant information concerning the project. Bidders are advised that information affecting drawings, specifications, conditions, scope of work, etc. may be discussed. CONTRACT DOCUMENTS may be obtained on or after Wednesday, June 27, 2012 on-line at www.BidSync.com. Separate bids for the 1700 EAST & 1900 EAST ROADWAY RECONSTRUCTION project will be accepted by Springville City Corporation on-line at www.BidSync.com until 10:00 a.m. (local time) on Wednesday, June 20, 2012. The work to be performed consists of furnishing and installing all necessary equipment, facilities, services and appurtenances thereto described in the Drawings and Contract Documents. The Work generally includes, but is not limited to, the following: Full-width roadway reconstruction (lip-of-gutter to lip-of-gutter) of 1700 East between 250 South and 400 South, and 1900 East between 850 South and Canyon Road. Project includes associated grade adjustment of existing manholes and water valves, installation of storm drain piping and associated drainage structures, and ancillary concrete work. A MANDATORY pre-bid conference will be held at 10:00 a.m. on Wednesday, June 13, 2012, at the Springville City Offices, 110 South Main, Springville, Utah. All contractors intending to submit a bid are required to attend to obtain relevant information concerning the project. Bidders are advised that information affecting drawings, specifications, conditions, scope of work, etc. may be discussed. CONTRACT DOCUMENTS may be obtained on or after Wednesday, June 06, 2012 on-line at www.BidSync.com. Separate bids for the 650 NORTH STORM DRAIN PIPELINE project will be accepted by Springville City Corporation on-line at www.BidSync.com until 10:00 a.m. (local time) on Wednesday, June 20, 2012. The work to be performed consists of furnishing and installing all necessary equipment, facilities, services and appurtenances thereto described in the Drawings and Contract Documents. The Work generally includes, but is not limited to, the following: Furnishing and installing approximately 1,400 lineal feet of reinforced concrete pipe (RCP) ranging in size from 15 to 24 inches in diameter in and along 250 West and 650 North streets. Project includes furnishing and installing several manholes, inlets, and other structures; the removal and disposal of existing storm drain pipe; removal and disposal of asphalt along pipeline trench and placing new asphalt pavement along pipeline trench and ancillary concrete work. Additionally a portion of the pipeline will be installed along the side yard of several residential home lots and there will be landscape and fence restoration required. A MANDATORY pre-bid conference will be held at 11:00 a.m. on Wednesday, June 13, 2012, at the Springville City Offices, 110 South Main, Springville, Utah. All contractors intending to submit a bid are required to attend to obtain relevant information concerning the project. Bidders are advised that information affecting drawings, specifications, conditions, scope of work, etc. may be discussed. The Springville Recreation Department is currently soliciting proposals from qualified businesses interested in supplying the uniforms for the 2012 Cheerleading Program. Request for proposal for annual fire safety system inspections and fire extinguisher inspection and service. Construction of the Bartholomew Chlorination Facility. The Springville Recreation Department is currently soliciting proposals from qualified firms and individuals interested in designing and decorating the city’s float to meet the theme of the 2011 Art City Days celebration. Springville City Corporation (the “City”) is soliciting competitive sealed proposals from qualified firms with significant, high level investment banking and financial advisor experience to serve as the City’s financial advisor. The Springville Recreation Department is currently soliciting proposals from qualified firms interested in providing concessions services during sports programs and special events at various locations within Springville.